The “other woman” gets a starring role in Stephen Carter’s new spy novel about a mentally ill CIA director. READ AN EXCERPT from the bestselling author and Yale law professor. On the Sunday before the terror began, Rebecca DeForde pointed the rental car into the sullen darkness of her distant past. The interstate was behind her. So was the chilly rain that had slowed her progress. The county road wound through thick Colorado forest, now snuggling along mountain peaks, now twisting among glowering trees. Here and there a distant flicker marked a farmhouse, then was gone. Fog enclosed her like sudden blankness. There was no moon. There were no stars. Street lamps had overlooked this corner of America, and so had the programmers of the car’s GPS. The road was curvy and unkempt and, in mid-April, icy in places. Still, Rebecca drove very fast, the way she always did. She did not know whether she was running away or running toward. She was 34 years old and for most of her life had felt as if she were running sideways, a cheerleader watching others play the game. She had grown accustomed to her role, and hated to be dragged onto the field. She had not wanted to make the journey, but she had no choice. Jericho Ainsley was dying, and although hardly anybody remembered nowadays exactly what Rebecca and Jericho had been to each other, everybody agreed that they had once been something. Beck herself had trouble recalling the precise details of their 18 months together, even though, once upon a time, she had given interviews about it. “Come on,” she urged the poky car as it struggled up the slope. The car seemed to grumble back at her. The car finally upshifted, and picked up the pace. Rebecca smiled, although another part of her would happily have missed the trip entirely. Jericho was not supposed to die. Not yet. He and Beck were supposed to—what? Reconcile? Apologize? Have an ordinary human conversation? There was some ceremony left, anyway, and they were supposed to have all the time in the world to perform it. “Guess not,” she muttered. Beck had learned of Jericho’s condition not from his family but from an enterprising reporter, who had tracked her down in Boston. The reporter called not the BlackBerry she used for business but her personal cell, a number known to perhaps a dozen people. It was Saturday. She liked weekends, because the stores were crowded, and you could observe the flow of customers, looking for bottlenecks and underused spaces. I’m updating Ambassador Ainsley’s obituary, the reporter had shouted, because Rebecca was walking the sales floor and could hardly hear over the din. Not the national-security angle, the reporter explained. The personal side. The scandal. In case he dies this time. And wondered whether she would care to comment. Beck had said something rude and unprintable. Hanging up, she had called the house, the number she never forgot although she had not used it in years. She feared and half hoped the number had been changed, but Audrey answered on the second ring and said that Jericho had been asking for her: Audrey, who never went anywhere. If Audrey was at the bedside, things were grim indeed. The doctors have surrendered, she said. My father’s future is in God’s hands, added Audrey, who preached that all things were. Beck promised to come at once. At once proved complicated. She arranged for her conniving deputy to take over the semi-annual inspection tour of the 19 New England stores owned by the retail conglomerate that employed her, then called her boss, an acerbic little man called Pfister, who grumbled and fussed and told her that this was a really lousy time to take family leave. Had Rebecca finished college, she would be Pfister’s boss rather than the other way around: They both knew it. He scolded her all the harder as a result. But when Rebecca for once stood her ground, Pfister, astonished at his own generosity, told her that she could have three days, no more. He needed her back in time for the regional managers’ meeting, set to begin Friday morning in Chicago. Beck promised she would be there. By Friday, Rebecca DeForde would be running for her life. 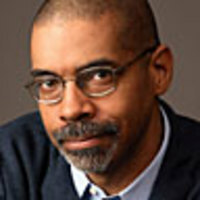 Stephen L. Carter is the William Nelson Cromwell Professor of Law at Yale. His seven nonfiction books include God’s Name in Vain: The Wrongs and Rights of Religion in Politics and Civility: Manners, Morals, and the Etiquette of Democracy. His first novel, The Emperor of Ocean Park (2002), spent 11 weeks on The New York Times bestseller list. His latest novel, Jericho’s Fall, is about a mentally ill CIA director.